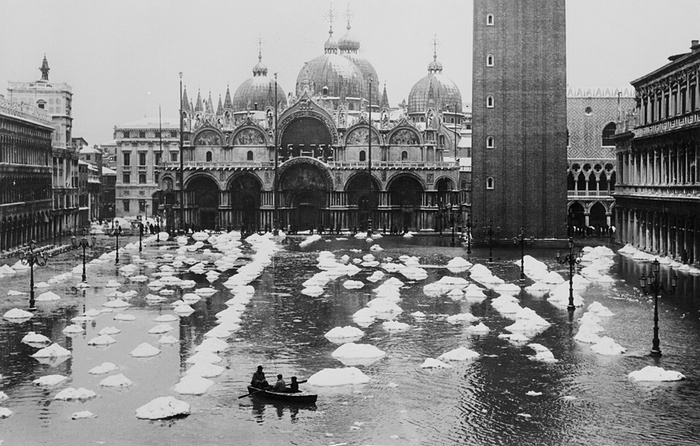 Found on the Guardian, a century of pictures of Venice during high water periods. For the record, no, don’t go swimming in Piazza San Marco during high water. Please. Putting aside the microbial soup you’re swaddling yourself in, it’s not much more respectful of the place than the tourists who’ve been spotted camping in tents in piazze, locking padlocks on bridges, carving their names into monuments, or doing some of the even more unmentionable things tourists have done to behave badly in Venice of late. They put those temporary footbridges up for a reason! Previous PostSassi PotteryNext PostFun with wine and google, Arneis edition!